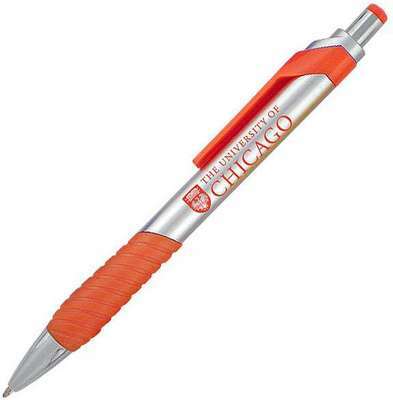 Our Savino S click action pen has a silver barrel and colored rubber grip with a click action mechanism. 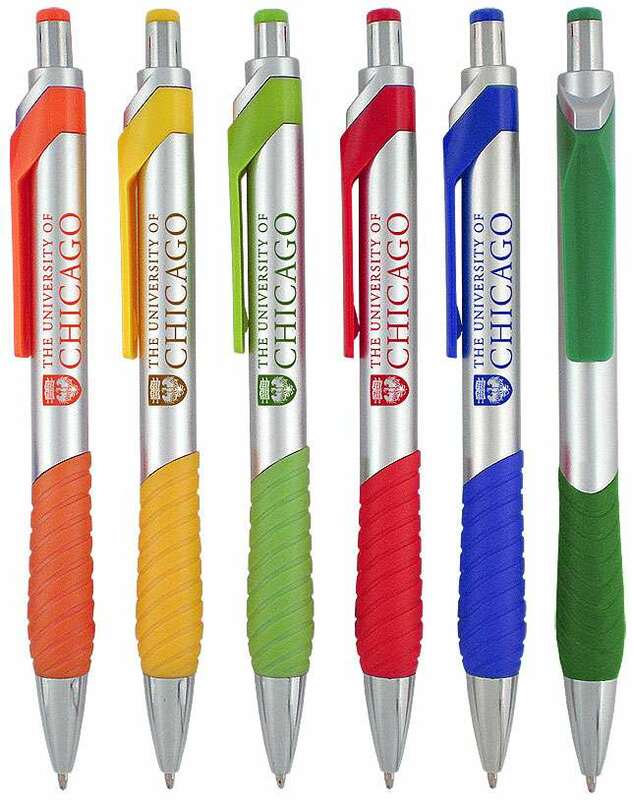 The Empire Savino S Click Action Pen with your logo neatly imprinted is your greatest brand ambassador. 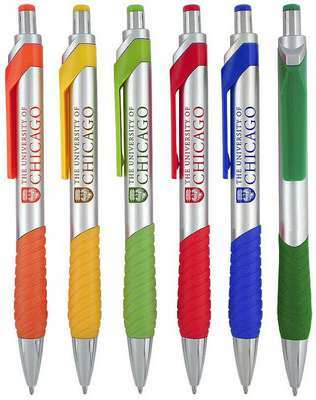 Your customers will never fail to carry them wherever they go simply because of its lovely design and performance while your business continues to get maximum exposure. It has a eye catchy pristine silver barrel for superior classy looks. 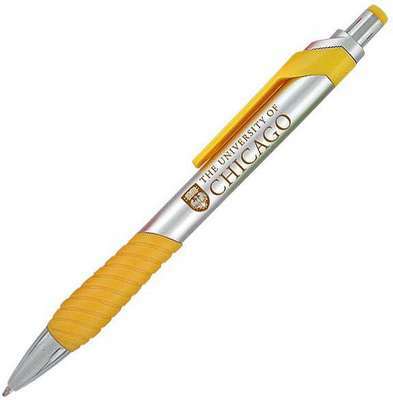 It also boasts of a very thoughtfully designed same colored rubber grip, clip and top of the plunger elegance. The chrome trim accentuates the great design and the pen works on an easy click action.